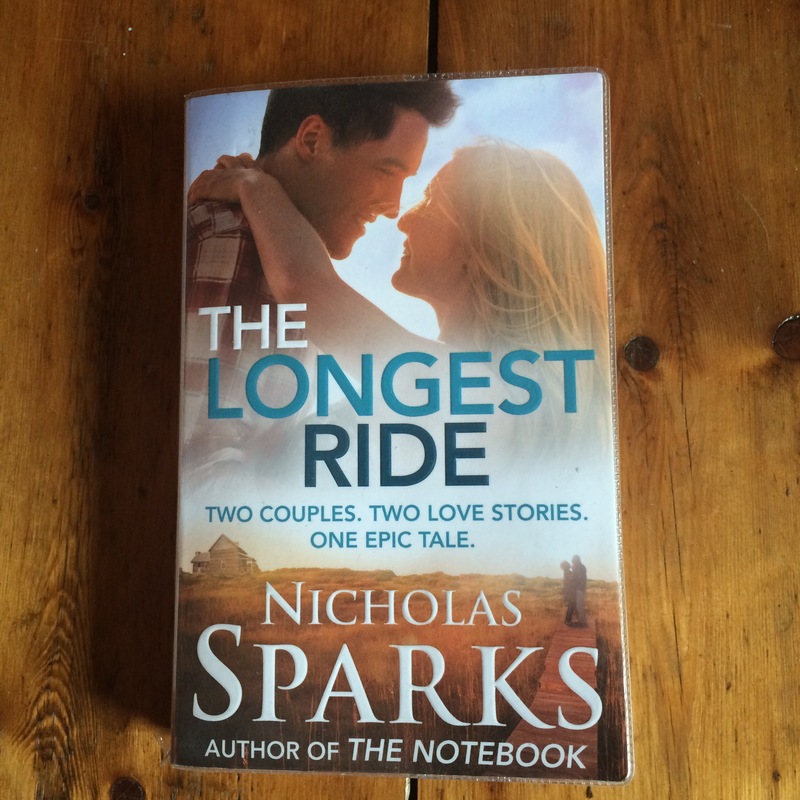 The Longest Ride was chosen at my book club recently by a brave new member. To say this isn’t our usual read is an understatement! While I am happy to read anything, some people in the group have quite high standards regarding our reading material, so it was always going to be an interesting book club session. Needless to say, the book didn’t go down very well, although almost everyone was relatively restrained when demonstrating their opinions on the book, for fear of scaring our new member off. However, it didn’t stop one member, who gave one of the most scathing reviews we have ever heard at book club. The poor young chap hasn’t been back since, but hopefully it’s just a coincidence! Now admittedly, I wouldn’t exactly be rushing to read one of Sparks’ books. There may have been a time when my younger self would have, but after reading The Notebook, I felt deflated. I couldn’t help thinking how much I preferred the film to the book. It’s not often that I prefer the movie to the book, but in this case, the chemistry between Ryan Gosling and Rachel McAdams really brought the characters to life. 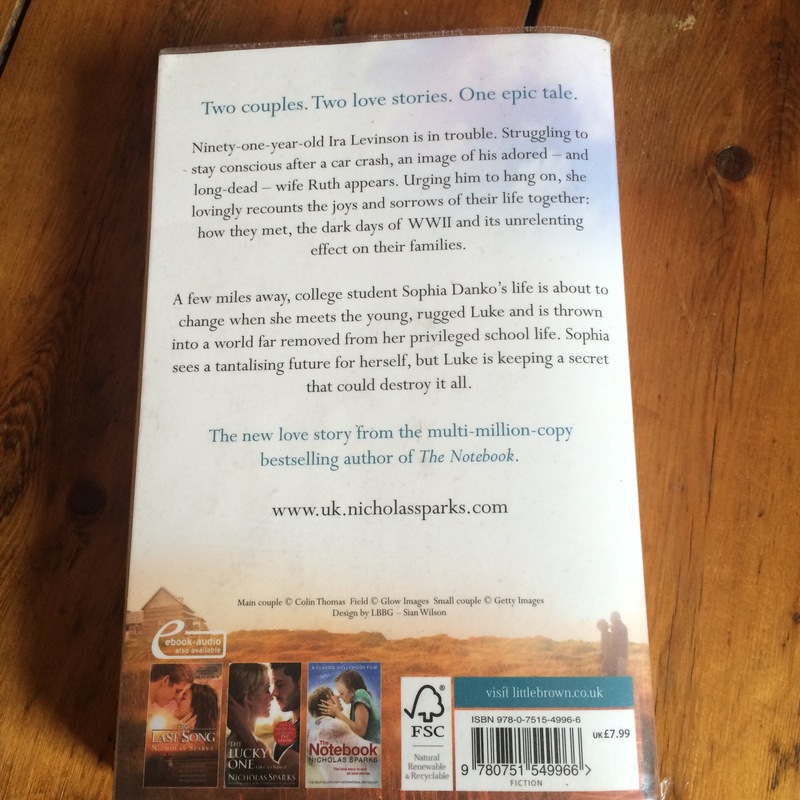 The Longest Ride focuses on two couples – Ira and Ruth and Sophia and Luke. The novel opens with the elderly Ira finding himself trapped in his car after careening off the road. It is there that he starts to see his deceased wife Ruth and their story is then told mainly in flashbacks as they reminisce about how they got together and how their relationship evolves through the years. In the present day, we are also introduced to Sophia and Luke, who meet some previous few months before Ira’s car crash. Sophia is studying art history at Black Mountain College in North Carolina and Luke is a bullfighter struggling to help keep his family’s farm afloat. The two quickly form a relationship, but Luke is keeping a secret that could threaten everything. 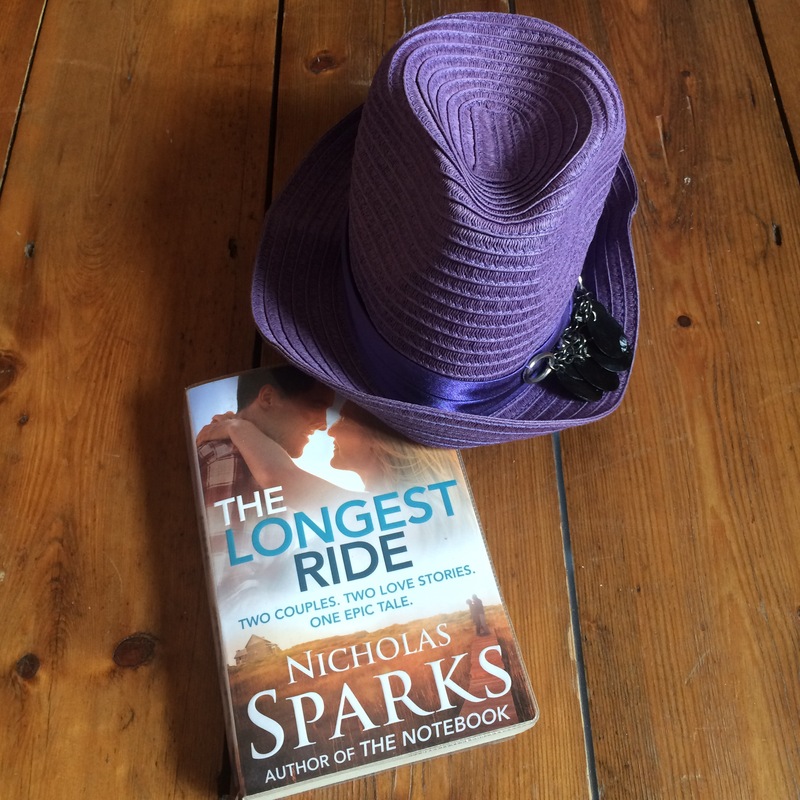 The Longest Ride is typical Sparks fodder. I expected the novel to be cheesy and it was a huge helping of Stilton with a portion of Brie on top! I enjoy the Chick Lit genre, but at least those novels are more realistic and humorous. Perhaps it’s because they are predominantly written by women. Sparks feels like a writer trying to write for women. His characters are just too perfect and the love stories too unrealistic and idealistic. Sparks’ style of writing is romance that is verging into Mills & Boon territory. However, Sparks does provide obstacles for his characters, which provides some dramatic tension and the book wasn’t entirely predictable. I enjoyed trying to figure out how the two stories related to each other and I liked the setting of the story. However, I found the Ira/ Ruth story too contrived in the way that they relayed their stories of when they were together. These chapters would have worked much better as proper flashbacks. Instead, Sparks has the two characters telling rather than showing, a style that is usually avoided in writing. The whole story felt formulaic, but Sparks clearly has a formula that appears to be working, judging by the successful amount of books and movie deals that he has sold. I haven’t seen this current movie adaptation and I won’t be rushing to watch this one, especially after a friend said it was the cheesiest film she’d ever seen. I would imagine that Sparks has probably reached a stage in his career where he knows what works for him and that he could probably produce anything now and it’ll still be a hit with an accompanying movie to follow. Perhaps I am merely being cynical? What do you think? 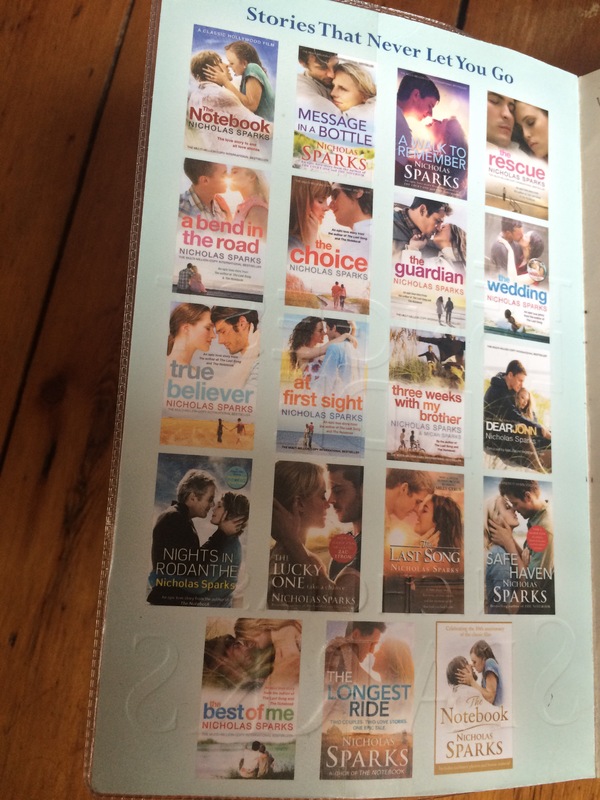 Are you a Nicholas Sparks fan? I’d love to hear your thoughts! 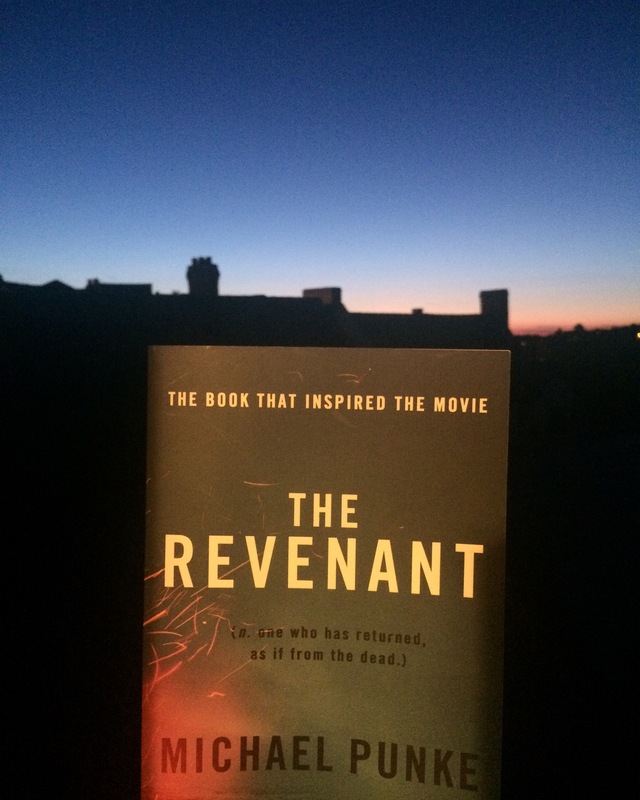 The Revenant is the book that inspired the Oscar-winning movie and finally earned Leonardo DiCaprio his well deserved Oscar for his powerful portrayal of Hugh Glass. It is not difficult to see why Leo was drawn to such a role. The character of Glass is one of strength, courage and determination. His character carries most of the film, much of it in silence. Visually, the film is stunning and has become my favourite movie this year. With this in mind, I did wonder if I would enjoy the book as much, particularly as my sister didn’t really enjoy the novel and gave up early on. Notably, she hadn’t seen the film, so perhaps she might have been more inclined to continue reading if she had. Normally I prefer to read a book before its film adaptation, but this time it actually enhanced my reading. I was able to recall the beautiful backdrop setting and visualise the different places along Glass’ difficult journey. I’m usually drawn to books with more dialogue, but I remained completely enthralled in Punke’s vivid descriptions of the scenery as well as Glass’ encounters and experiences. Punke’s writing immersed me into the story and I became awed at Glass’ tenacity through such extreme weather conditions, considering the seriousness of his injuries. Punke succeeds in highlighting the horror of Glass’ attack through brutal imagery, which is just as gory as depicted in its film adaptation. It is difficult not to flinch when reading some of the passages in this novel and it is astonishing to read just how strong the human spirit can be when necessary. The Revenant may be a work of fiction, but the character of Hugh Glass is certainly true. However, some legend has filtered through the history of what happened to Glass. The film has some notable differences that add more dramatic depth to the story, but the novel is still rich in its storytelling. Some of the events in Glass’ life are truly remarkable and the phrase “truth is stranger than fiction” comes to mind. Glass is a resourceful and patient character who demonstrates just how much one can survive and endure when their life is at stake. I found myself thinking what I would do if I was in that situation and I’m sure I would give up! Not so Hugh Glass, who soldiers on in order to get his revenge. He proves that anything can be done when you put your mind to it and, when you are truly desperate, you will even resort to eating anything that you can get your hands on. Such sheer circumstances are a true test of what a human being can endure and Glass never gives up. Although the book may be a harrowing tale, there are some light comedic moments, particularly the camaraderie between some of the characters. The book may be lacking in female characters, but it doesn’t detract from the novel and is simply a reflection of its period setting. The other memorable character is Fitzgerald, who abandons Glass after his attack. Fitzgerald is depicted by Tom Hardy in the film and the character in the novel is just as evil and appears to have no redeeming qualities whatsoever. He provides an excellent foil to Glass’ character and becomes the main motivation for Glass to keep on living, just to quench his thirst for revenge. The history in the novel is enthralling and shows just how difficult life could be during such a simple period devoid of today’s comforts. The conflict with the Native Indians is not shied away from in the novel and some of the violence that occurs is horrifying. Despite the heavy source material, I found the novel to be an easy read and even though I may have known most of the story and its outcome, I was still gripped by Glass and his arduous journey of survival and revenge. Quite simply, The Revenant is a must read! 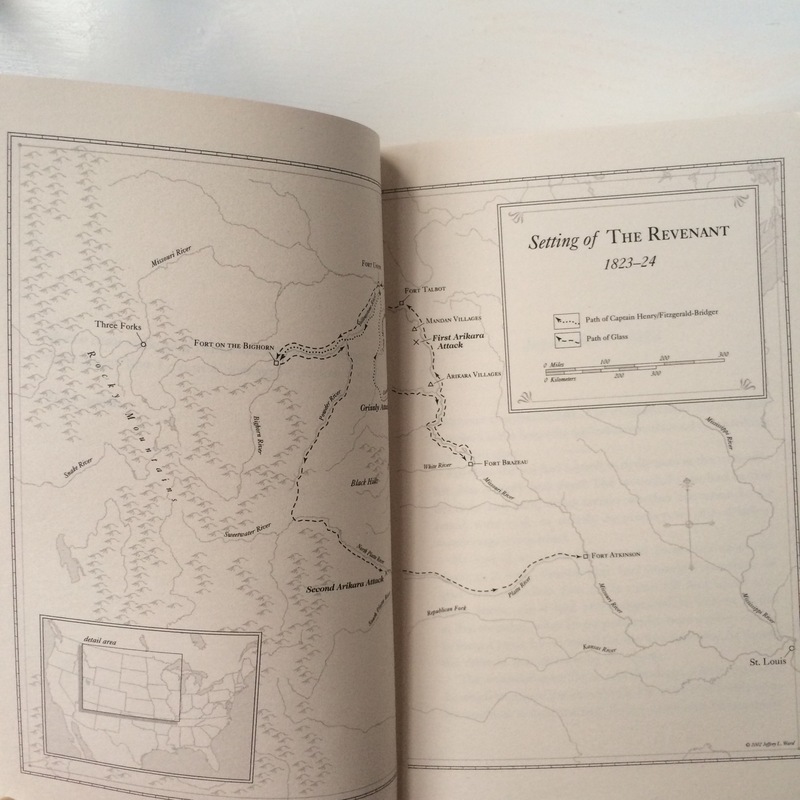 Have you read The Revenant? Have you seen the film? How do you feel they compare? Do you prefer to read the book first before a movie adaptation? Let me know what you think!